When you and your spouse divorce, there are a number of decisions you need to make that will have a long-term impact on your standard of living. One of the decisions the New Jersey courts can make on behalf of those involved is whether or not you are required to provide or receive alimony, regular monetary contributions also known as alimony or spousal support. Tanya Freeman Law LLC can guide you through the statutory factors that impact an alimony determination. Alimony is a frequently litigated issues in divorce, and while courts and lawyers strive to split marital assets equitably, equitable does not necessarily mean equal, and a share of your marital property might not, on its own, guarantee your financial security. In many cases, alimony may be part of that equation. Our team will always work to reach a fair agreement between our client and the opposing party. When determining whether or not a court should grant alimony, how much should be awarded, and for how long it should continue, New Jersey courts evaluate several statutory factors, including a couple’s length of marriage, their standard of living during the marriage, the relative income of each individual, and the needs of each spouse. 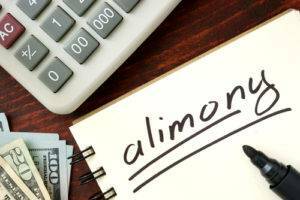 Retaining a New Jersey alimony lawyer can help you analyze how the statutory factors for alimony apply to you. Tanya Freeman Law LLC and her team represent clients who are seeking alimony as well as those who may be required to pay it. Clients are often concerned about whether they are required to pay alimony if their circumstances change. Others are not receiving the alimony payments specified by the agreement and seek enforcement. An alimony attorney can help you present evidence to the court as to why the amount you pay should be decreased, or request that the court properly enforce the alimony agreement. Are you having an issue with your alimony payments? Contact our offices today to schedule a free consultation.